By Mustaza Mustafa in Desktop. Updated on November 13, 2017 . 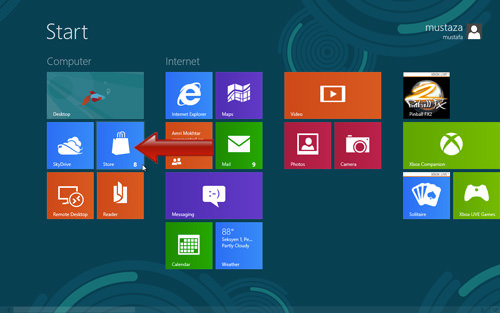 Windows has released the new Windows 8 OS with a new interface that is marking Microsoft’s shifting focus from clicks to touch. 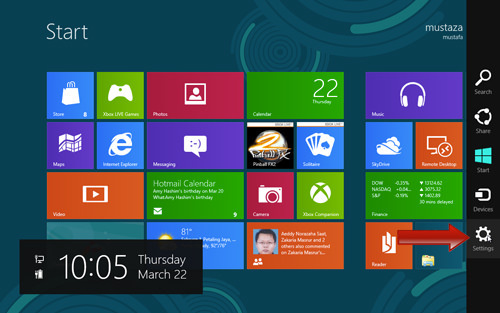 The new Windows 8 is much faster than previous versions but after decades of seeing only your folders on the desktop, are you ready to embrace the new tile-filled UI, that is the Metro Start screen? We figure you might need help customizing the new UI for personal comfort. 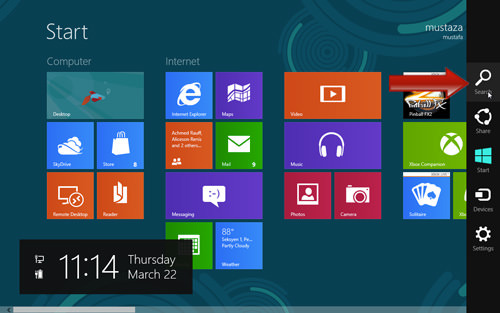 In this quick-tip, we’ll get you started with some of the changes made to Windows 8 then show you basic configurations you can do to customize your Metro Start page. Some of the differences you will notice on Windows 8 are that many apps can only run when you are logged on with your Windows Live ID, and that Internet Explorer can be run in two different modes. The ‘Settings page’ also has gotten a new interface – I think we’ll start with this one. When you are on any page, or running any app, you can simply hover your mouse over the right side of the screen, to reach your Charms menu, that bar that seems to be playing hide-and-seek with you. You can find your shortcuts to the ‘Start’ page, ‘Devices’, ‘Setting’, ‘Share’ and ‘Search’ there. Alternatively, Windows key+ C will also open the charms menu. If you hover your mouse to the left side of your screen, a preview bar will show you the apps you have running at the moment, as well as the Start page. 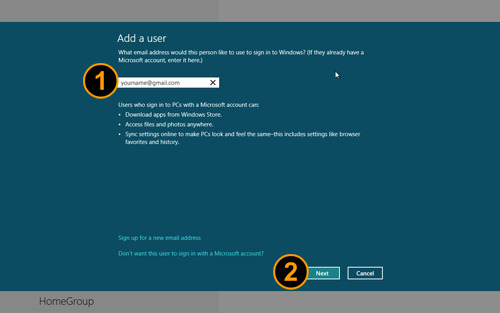 To get access to most apps on Windows 8, you will need to log in to your Windows using your Live ID. If you haven’t done so, you will get this error when you try to open an app. To register your Live ID, hover your mouse to the right of the screen to reach your charms menu, and then click ‘Settings’. Then click on the ‘More PC Settings’ bar at the bottom. 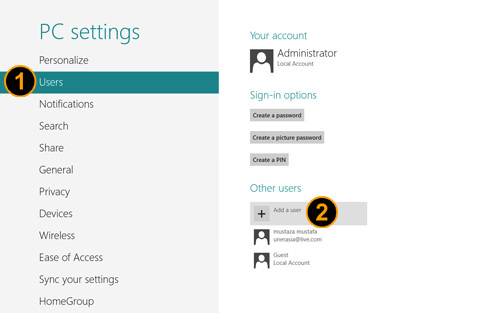 On the settings page, go to the ‘Users’ tab on the left and click on ‘Add a user’. A new page will appear. 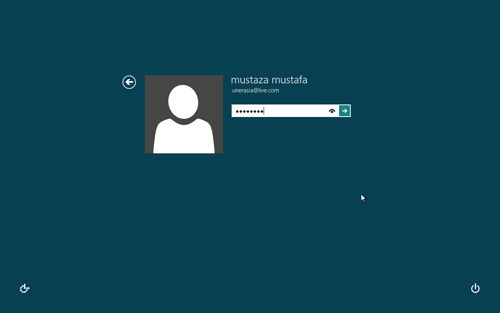 Simply enter your Live ID and click ‘Next’ to complete the process. 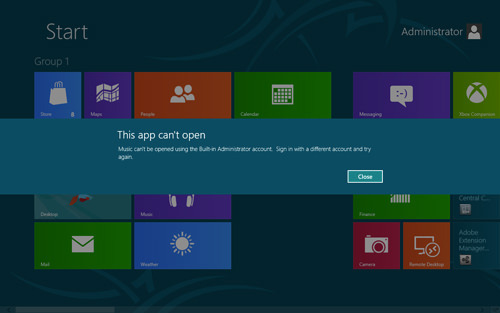 With Live ID access, you can now use all apps available on your Windows 8. 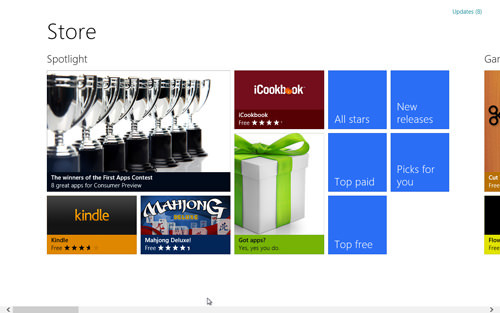 Also, you will be able to utilize SkyDrive and download more apps from the Windows App Store. 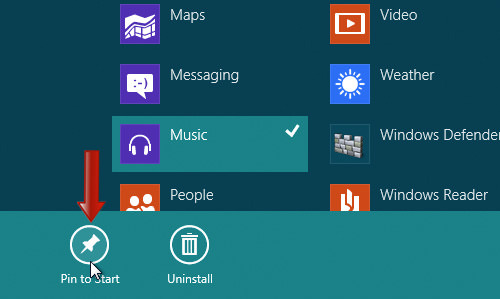 Your Metro Start page is now the main page on Windows 8, and you have the ability to customize the look and feel of the page to your preference. 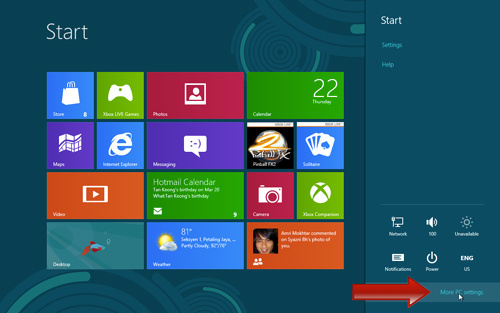 To change the look of your Metro Start page, hover over the Charms menu on the right and go to the Settings page. Once you’re in, go to ‘Personalize’. 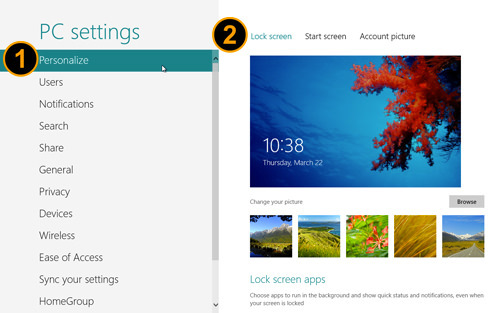 On this page, you can change your Lock screen, or click on the top menu to change the look of your Start screen. 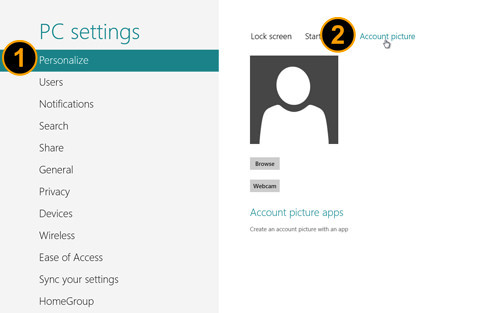 You can also go to ‘Account picture’ to upload or change your account picture or avatar. 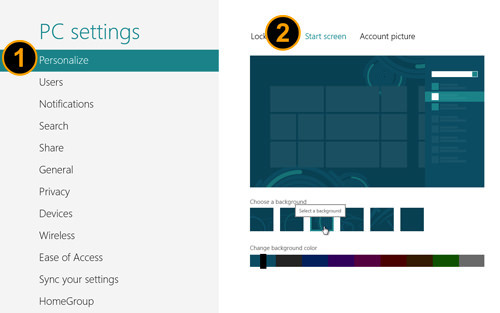 All tiles that are available on your Start screen can be grouped according to its class or category. For example, you may want to group your tiles under categories like ‘Social’, ‘Utilities’, ‘Internet’ and ‘Games’. 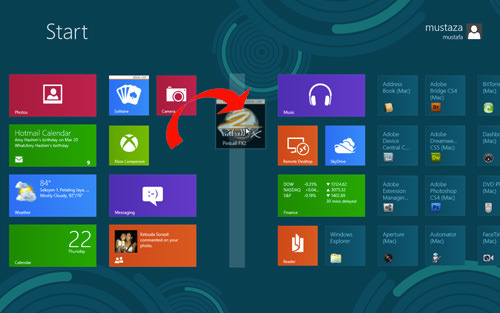 To start grouping tiles, simply hold your mouse down on any tile and drag it to another position or group. You can also create a new group by dragging the tile to an empty space; a new group will be created automatically. To customize the look, you can also change the size of each tile, to have it appear as a rectangle or square. Simply right click on the tile, and select ‘Larger’ to turn the square to a rectangle. Each group of tiles can be renamed so it will be easier to remember. 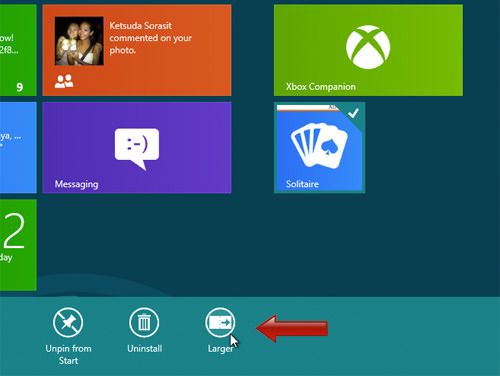 To start naming, point your mouse at the bottom right hand corner of the screen and click on the small magnifier icon. Your Metro Start page will be scaled down. Now right click on any group of tile you want to label, and you will see an option appear at the bottom of the screen. 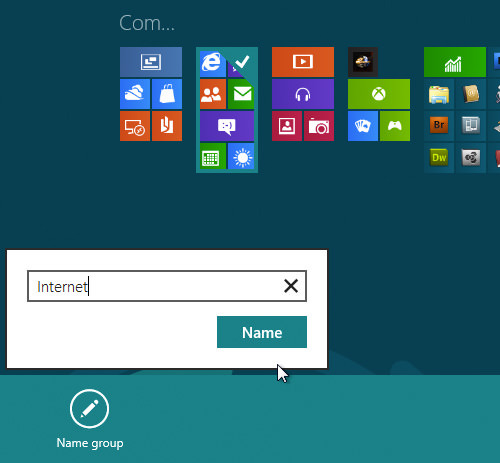 Click on ‘Name group’ and enter any name you prefer for the group of tiles. 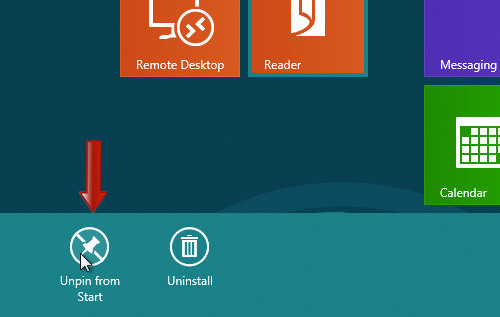 To remove any tile from your Start screen, simply right click on the tile and click on ‘Unpin from Start’. 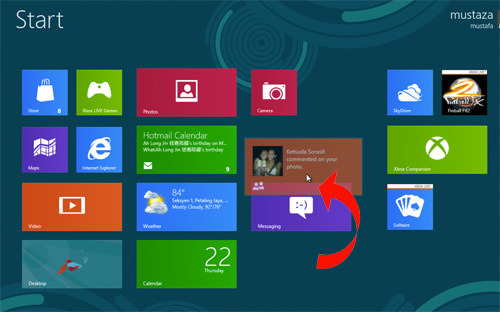 To add a new tile (app shortcut) to the start screen, hover your mouse to the Charm menu and click on Search. Now you are in a page where all apps are listed. Right click on any app to see the options and click on ‘Pin to Start’ to add the shortcut as a tile on your Start screen. 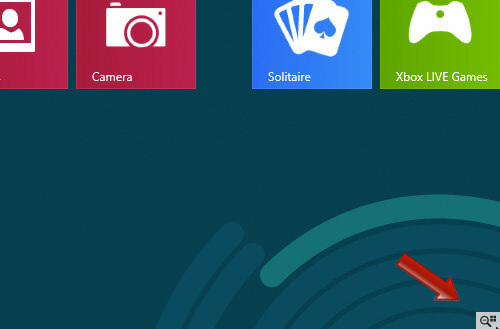 With Windows 8, it’s easier now to make your Windows fun. 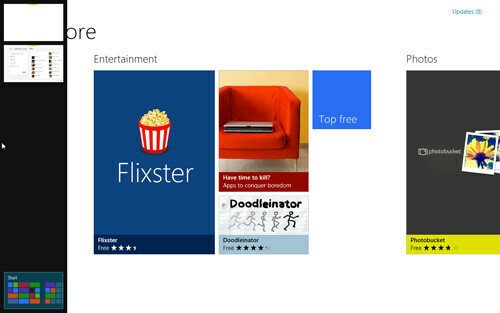 From the Start page, click on the Store tile to start purchasing new apps or download free ones. Once you are in the Storefront, scroll left and right to look for any app you like, then choose to purchase or download for free. 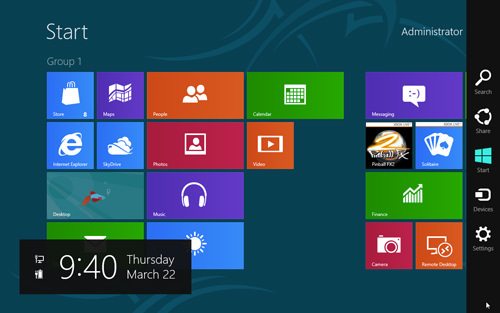 With some basic changes, you can already customize your Metro Start screen to follow your preference. Although not much options are offered, soon enough when the product is launched, I’m pretty sure there will be more tips and tricks to better customization.